Welcome to the Hatch End Dental (Hatch End Dental) privacy notice. Hatch End Dental respects your privacy and is committed to protecting your personal data. This privacy notice will inform you as to how we look after your personal data when you visit our website (regardless of where you visit it from) and tell you about your privacy rights and how the law protects you. This privacy notice aims to give you information on how Hatch End Dental collects and processes your personal data through your use of this website, including any data you may provide through this website when you sign up to our newsletter or request information on our services. Hatch End Dental: is the controller and responsible for your personal data (collectively referred to as ["COMPANY"], "we", "us" or "our" in this privacy notice). 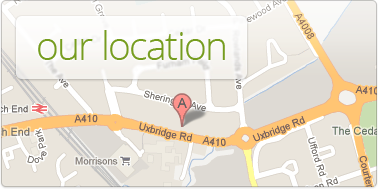 The Hatch End Dental website https://www.hatchenddentalpractice.co.uk/ may include links to third-party websites, plug-ins and applications. Clicking on those links or enabling those connections may allow third parties to collect or share data about you. We do not control these third-party websites and are not responsible for their privacy statements. When you leave our website, we encourage you to read the privacy notice of every website you visit. Generally, we do not rely on consent as a legal basis for processing your personal data other than in relation to sending third party direct marketing communications to you via email, text message or postage. 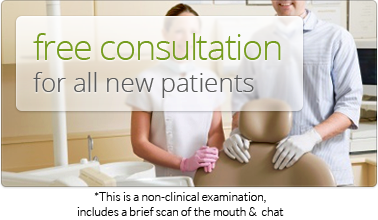 You have the right to withdraw consent to marketing at any time by contacting us at info@hatchenddental.co.uk. Note that we may process your personal data for more than one lawful ground depending on the specific purpose for which we are using your data. Please contact us at info@hatchenddental.co.uk if you need details about the specific legal ground we are relying on to process your personal data where more than one ground has been set out in the table below. We will get your express opt-in consent before we share your personal data with any company outside of Hatch End Dental for marketing purposes. You can ask us or third parties to stop sending you marketing messages at any time by following the opt-out links on any marketing message sent to you or by contacting us at info@hatchenddental.co.uk. We will only use your personal data for the purposes for which we collected it, unless we reasonably consider that we need to use it for another reason and that reason is compatible with the original purpose. If you wish to get an explanation as to how the processing for the new purpose is compatible with the original purpose, please contact us at info@hatchenddental.co.uk. Please contact us at info@hatchenddental.co.uk if you want further information on the specific mechanism used by us when transferring your personal data out of the EEA. If you wish to exercise any of the rights set out above, please contact us at info@hatchenddental.co.uk. Legitimate interest means the interest of our business in conducting and managing our business to enable us to give you the best service/product and the best and most secure experience. We make sure we consider and balance any potential impact on you (both positive and negative) and your rights before we process your personal data for our legitimate interests. We do not use your personal data for activities where our interests are overridden by the impact on you (unless we have your consent or are otherwise required or permitted to by law). You can obtain further information about how we assess our legitimate interests against any potential impact on you in respect of specific activities by contacting us at info@hatchenddental.co.uk. This Cookies notice applies to our website https://www.hatchenddentalpractice.co.uk/, all branded pages on third party platforms and applications accessed or used through such websites or third-party platforms (the “Sites”), which are operated by or on behalf of Hatch End Dental (“we”, “us”, “our”).